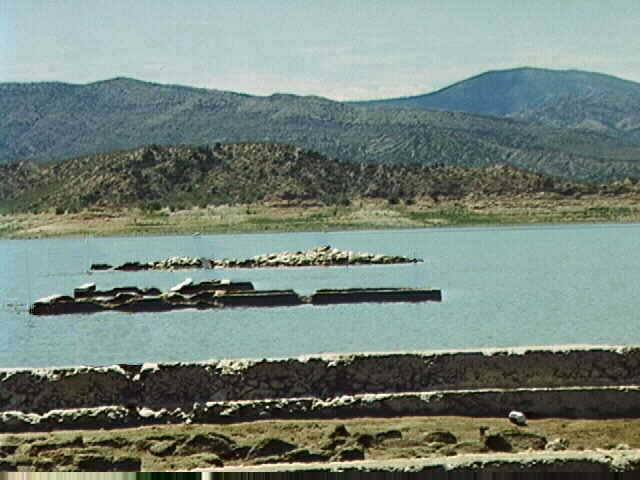 This is a view of San Carlos Lake with some of the ruins of Old San Carlos in the foreground. When taking the picture I was facing south. This is another view of San Carlos Lake taken from Old San Carlos. Mount Turnbull, to the southeast, is framed by some of the ruins. The Apache name for Mount Turnbull is Dzi£ Dlaazhé, with an uncertain translation. 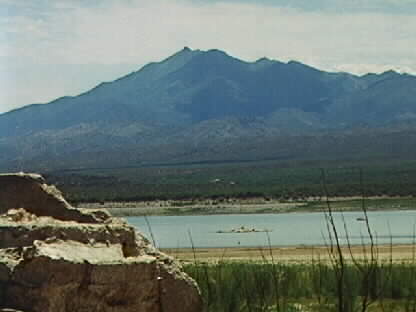 Many San Carlos Apaches consider the mountain to be "special."